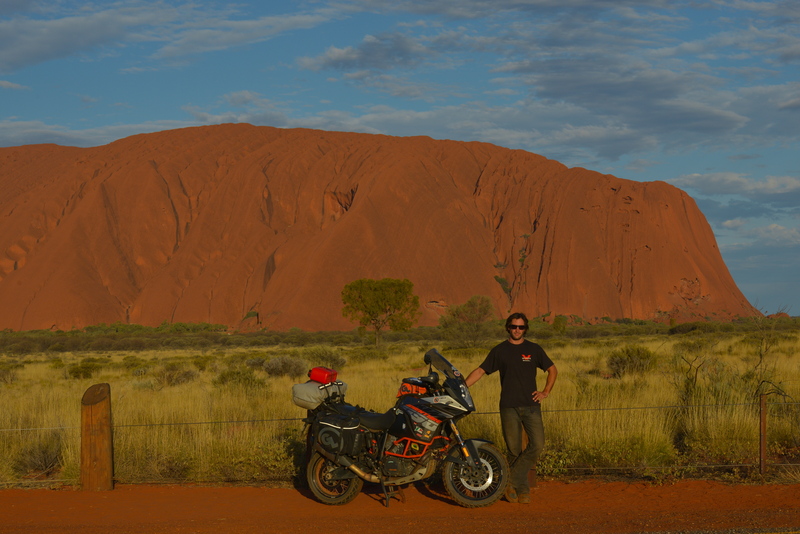 From Paolo in Australia: “I’m writing you to give you an update about my travels and about your products, that I’ve been using during my trip about Australia, that has come to a completion now, after 8 months on the road and roughly 40000km. I’ve pretty much started from Sydney and rode all around the perimeter of this continent, covering Tasmania and Ayers Rock as well. I’ve been using the Siskiyou Panniers, and I’ve covered all sort of terrains, speeds and temperatures (above the zero). Australia gives you a vast range of possibilities to test yourself and your gear, in terms of variety of conditions, and I have to say I was very happy to have your products with me during my journey. Overall, the robustness, flexibility and storage capability of the products are really remarkable, in my opinion. You guys have done a great job. Tillamook Dry Bag served me very well too; Fandango Tank Bag was very handy and so the Zigzag Handlebar Bag. I just wanted to say THANK YOU for making this journey of mine a pleasure. The past months riding with your equipment were great. So much better than the hard panniers! You can go through my adventure also, via my Instagram account. www.instagram.com/paoloinoz I’ve been posting a picture a day for the past 230 days, gaining a lot of followers and a lot of likes and reposts from all over the world and from other popular dual sport and adventure riding accounts.